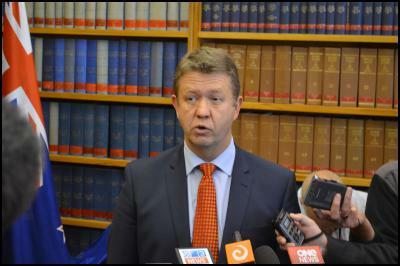 Labour are on ‘Warfooting and have kicked off the beginning of the 2014 election campaign said Labour leader David Cunliffe on his first day the role. 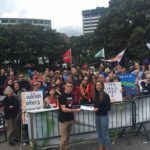 Labour are on ‘Warfooting” and have kicked off the beginning of the 2014 election campaign said Labour leader David Cunliffe on his first day in the role. 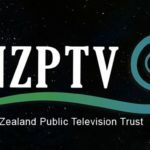 Speaking at a press conference, Mr Cunliffe said he had the backing of all of his caucus colleagues, and that the leadership election had given him a strong mandate. 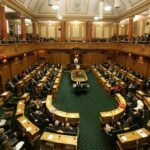 A new deputy leader and whips would be announced after caucus meets tomorrow morning, and these “may or may not be” the same people as they were today. He said he did not expect anyone to resign. 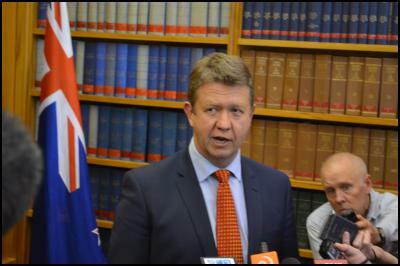 Mr Cunliffe said he know John Key when they were both backbenchers in Auckland, and that he like him as a person, but he was not phased by Mr Key. He intended for Labour to be in government in 12 months time and would be putting people in shadow ministerial portfolios where they would excel. He would have meetings with the other opposition leaders in the coming days. Labour would be putting “enormous resources” put into a a strong economic team, Mr Cunliffe said. 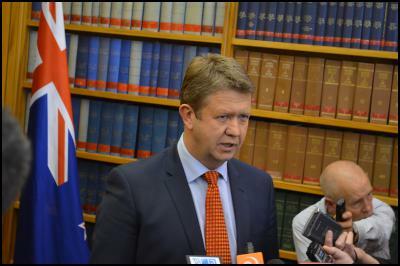 Mr Cunliffe also answered questions about the Trans Pacific Partnership, the Americas Cup, Maori electoral seats and the newly formed coalition on Chorus broadband copper charges.